Eight ministers held a private meeting on Monday evening to discuss May’s handling of Brexit. LONDON – Theresa May is struggling to hold her government together as senior members of her cabinet openly meet to plot against her. Today’s Cabinet meeting was originally scheduled for her Cabinet ministers to sign off a Brexit divorce deal with the EU. However, a fraught weekend in Brussels culminating in UK Brexit Secretary Dominic Raab walking away from the negotiating table means a deal won’t be signed off until November – if there is a deal at all. “The deal is definitely going to be pushed back to November, if it happens at all,” the source said. Hopes of an imminent deal were shot down on Sunday after the UK government refused to accept the EU’s demands to keep Northern Ireland in the customs union and single market if a new customs arrangement is not secured by the end of the two year Brexit transition period. The so-called backstop is designed to prevent a hard border on the island of Ireland after Brexit. However, while May’s refusal to make more concessions to the EU in talks delayed a revolt in Westminster, the prime minister’s leadership remains precarious, with senior Cabinet ministers last night openly meeting to discuss how to undermine her plans. 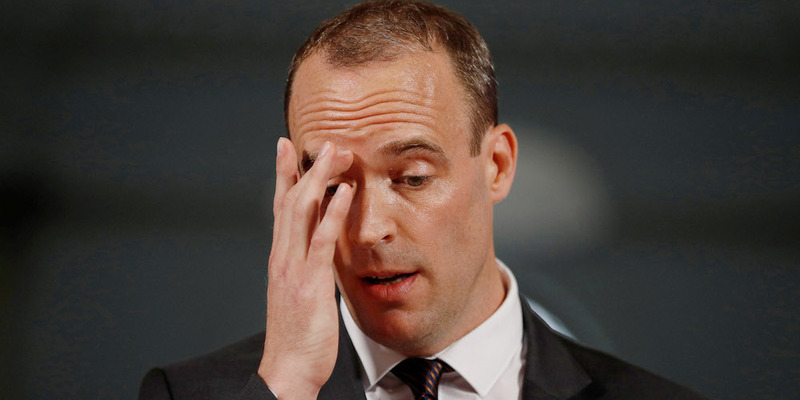 WPA Pool/GettyBrexit Secretary Dominic Raab. 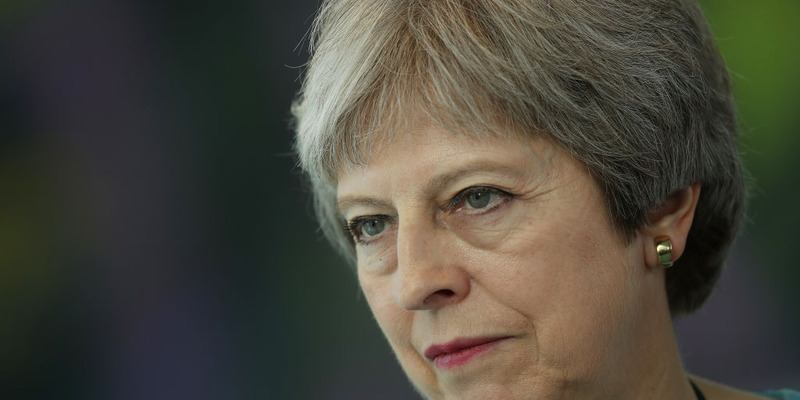 May reassured MPs on Monday that she would not accept the EU’s demand that the backstop plan for the UK to stay in the customs union after Brexit to be indefinite. However, she dodged questions from pro-Brexit MPs like Boris Johnson and Iain Duncan Smith, who asked her whether the backstop would have a fixed end date. The mood among pro-Brexit Conservative was summed up by Simon Clark, who told the prime minister directly that she had as “failed to reassure” MPs that the UK will definitely leave the customs union by December 2020, amid fears that the UK could be wedded to the EU’s customs arrangements for years and years to come. The prime minister failed to reassure MPs from the Democratic Unionist Party that there’d be no new regulatory checks between Northern Ireland and the rest of the UK after Brexit, and received a kicking from numerous pro-EU MPs, including up to 10 MPs who urged May to back another referendum.